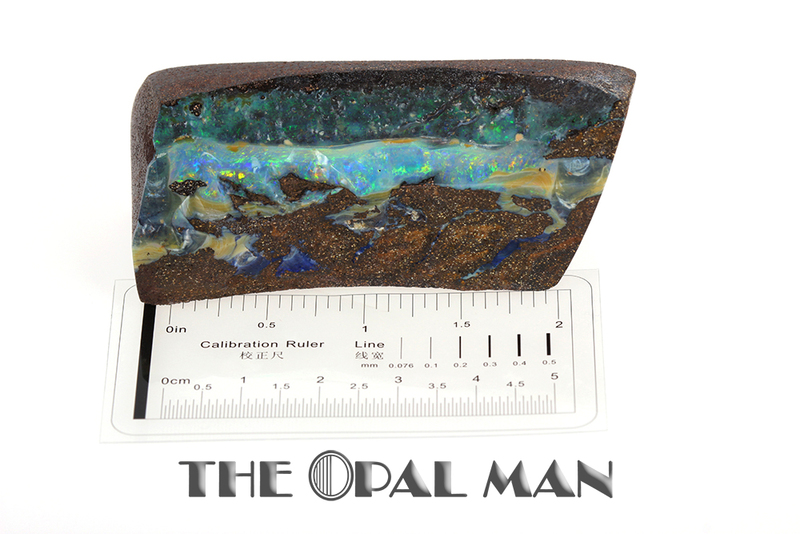 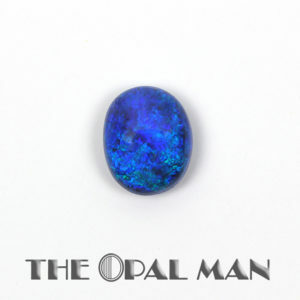 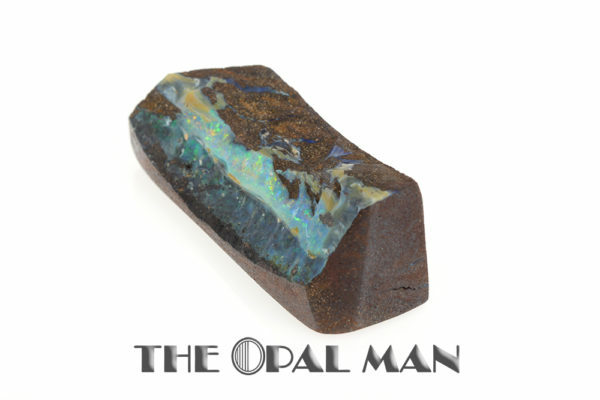 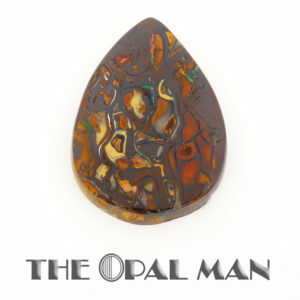 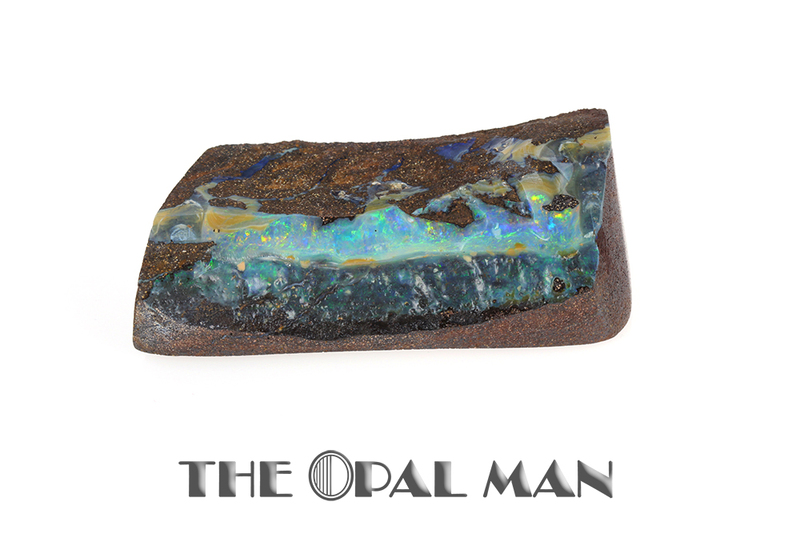 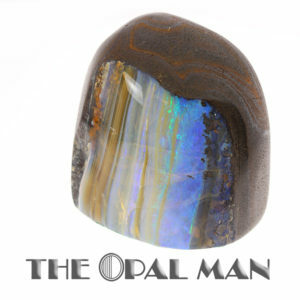 Australian Opal Specimen–Boulder matrix opal sample with vibrant blue/green flash and some hidden strikes of blue. 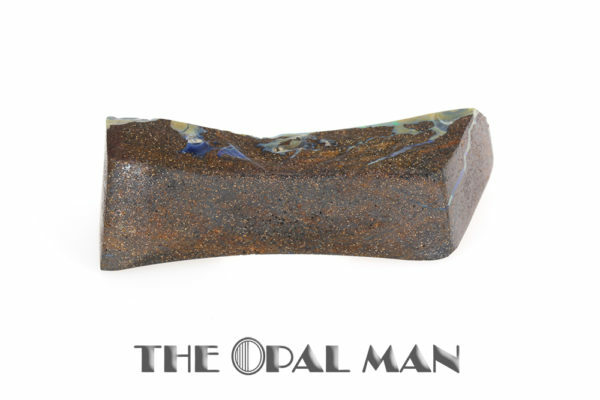 Australian ironstone base material. 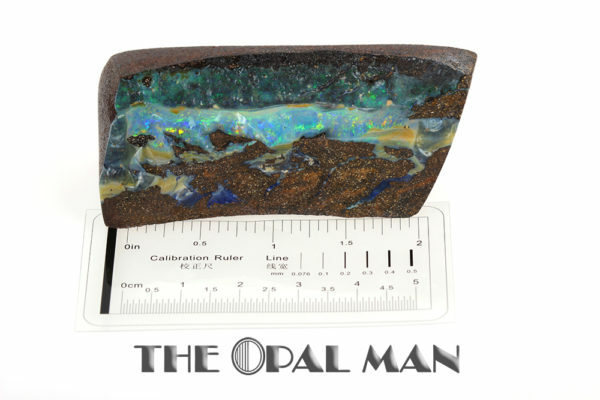 Approximately 2.75in long by 1.0 in high by 0.875 in wide.